This is a poem of mine that was originally published in the wonderful Blackmail Press. I wrote it after a visit to Kilmainham Gaol in Dublin. 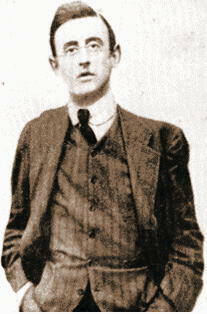 Joseph Plunkett, one of the Irish rebels who took part in the 1916 rebellion (or “Easter Rising”), was executed hours after marrying his sweetheart, Grace Gifford. Reposting this in memory of the Easter Rising, 100 years ago.